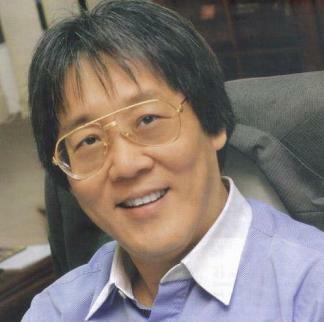 Matthias Chang is a Malaysian of Chinese descent. He is a practicing Barrister and an Advocate & Solicitor of the High Court of Malaya since 1976. He once had the honour to serve as the Political Secretary to the 4th Prime Minister of Malaysia, Tun Dr. Mahathir Mohamad. He is the author of the best-selling “The Future Fastforward Trilogy” – Future Fastforward, The Zionist Anglo-American Meltdown; Brainwashed For War Programmed To Kill, The Zionist Global War Agenda; and The Shadow Money Lenders And The Global Financial Tsunami published by the American Free Press in US. He also wrote the book, “Prisoner Of Conscience” after he was unjustly incarcerated in the Kajang Prison in Malaysia for an alleged contempt of Court in 2010 for opposing judicial abuse. In 2015, he was arrested, charged and incarcerated in Sungai Buloh Prison in Malaysia under the draconian Security Offences (Special Measure) Act 2012 “SOSMA” and Section 124L of the Penal Code for attempting to sabotage the Banking and Financial Institution in Malaysia for exposing the 1MDB financial scandal and the criminality of the Najib regime in relation to that Scandal. On 20th July 2016 the Department of Justice (DOJ) of USA classified the scandal as the largest kleptocracy investigation in the history of DOJ. He is also actively involved in the anti-war movement for the last 49 years and has participated and led in 3 missions to Gaza and was imprisoned by the Israelis for his efforts. He is a Catholic but enjoins all to promote inter-faith understanding. He resides in Kuala Lumpur, Malaysia. He can be contacted at matthias@skzcchambers.com.